She really tried to approach it nicely, the spin instructor that is, as she asked who forgot to sign up for the 5:45am spin class at the LA Fitness in Ballard. It’s okay. It’s easy to forget or not know you need to sign up if you are new to the gym or really sleepy. 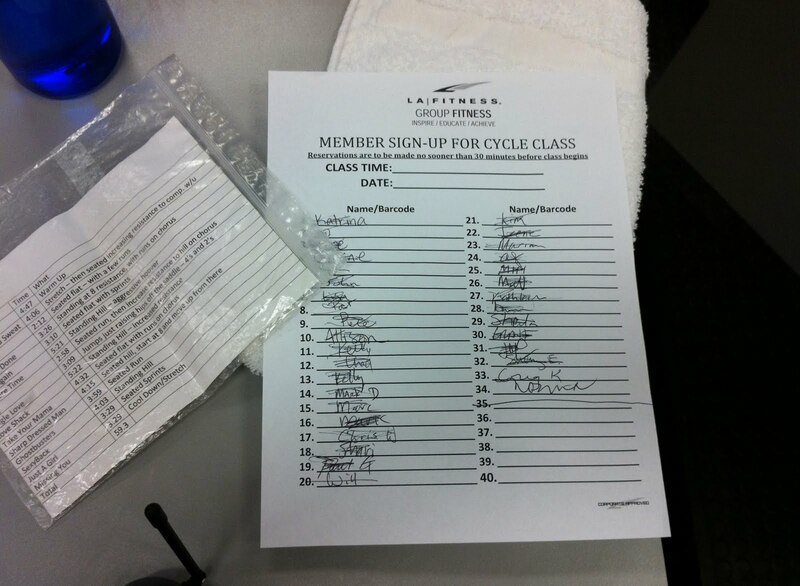 The situation was this: the class was full – all bikes taken – yet two people who had signed up didn’t have a bike. The instructor asks several times (with everyone’s attention) but eventually is forced to go bike to bike and check the person on the bike with a name on the list. And, lo and behold the last two riders she checks had not signed up. Why did these two folks wait until the instructor came to them and asked them to give up their bike? It is a question that bothered us well into the namastes of the subsequent yoga class.